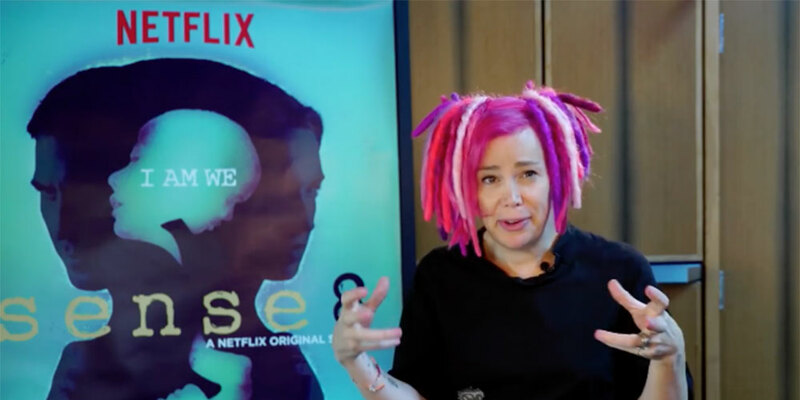 On August 8, Lana Wachowski, the creator and director of the Netflix queer sci-fi series Sense8, posted a heartfelt thank you message for fans of the show who helped revive show after being unceremoniously cancelled by Netflix in June 2017. The show had been cancelled after just two seasons and a Christmas special. However, on June 29, 2017, the show announced that Netflix’s surprise decision to let the show return for one two-hour finale episode set to air sometime in 2018. So, in a 15-minute thank you video featuring Wachowski and many members of the show’s cast and crew, she delivered the following message (presented here in full). The video then cuts to images of websites announcing the show’s cancellation, fan heartbreak at the news and a clip of Lito histrionically screaming. Many of Capra’s films, like the 1939 film Mr. Smith Goes to Washington, shows the triumph of innocent “everyday people” against larger institutional powers. The video then cuts to a clip of a Sense8 fan at a Pride parade, crying and silently proclaiming his love of the show from a distance as a rainbow flag idly sits at the edge of the screen. The video then cuts to myriad clips from the show of cast members dancing around. 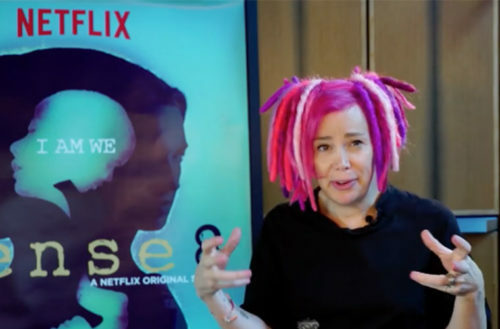 At another point in the video, it shows clips of the Sense8 characters singing the upbeat 4 Non Blondes’ tune “What’s Up,” a song sung by all of the telepathically connected characters (who are all in various states of despair) at the conclusion of Season 1, Episode 4. The song lifts their spirits and it reaffirms their newly growing connection to one another. The video then cuts to the cast members thanking viewers and talking about the profundity of acting on the show. One person expresses that the love and spiritual connectivity shared between the show’s main characters mirror that of Sense8’s fans to the show and its creators. Another person claims that many fans around the world have become friends and lovers through their mutual affection for the show and its themes of unity and connection. “I’m someone who thinks about the power of cinema a lot. I experienced it when I was young. And I saw transgender characters in films or television shows and they were inherently tragic or they were inherently tragic or they were a joke or a victim or, most typically, psychopathic serial killers. Those kinds of characters reflect the dominant narrative in our culture about difference: Difference is something to fear. Difference is something to laugh at. Difference is most importantly something that divides. So when I pitched and said to Netflix, I told them I wanted to tell a different story about difference. I wanted to tell a story un which difference was not something that set us apart from each other; it was actually fundamentally the thing that united us because difference is the one thing that we all have in common. I get that pessimism and darkness are easy sales for gritty and the way the world is but look, hey you’ve gotta remember, we are standing on a rock that is floating in the middle of space and it’s spinning at a thousand miles an hour. And if gravity was just a little bit different than the exact magical force that it is, then we would fly off or we would be crushed. And that fact is almost as improbable and crazy and miraculous as the fact that Sense8 is back. At this point, an excited woman whispers in the ear of different crew members, presumably telling them of Netflix greenlighting a final episode of Sense8. The cast members then say thank you and one reminds viewers that they are not alone and that they are loved.